It’s not exactly the most major news story in the world but the Department of the Interior just changed the official name of Mt. McKinley to Denali. The mountain is the tallest in North America and to say it is majestic is not to give it full credit. There has been dispute over it’s name virtually ever since it was officially named Mt. McKinley. This was done by the United States government in 1917 to honor the recently assassinated President, William McKinley. Before that it was largely known as “The Great One” or “Big Mountain” in various languages. The word for this used by the natives in the region was Denali. Despite the official renaming of the mountain it has generally been called Denali by people in Alaska and starting in 1975 they asked the government to change the official name. This was steadfastly blocked by Ohio Congressman Ralph Regula. Regula retired in 2009. McKinley was from Canton, Ohio, which is in the home district of Regula, thus the unwillingness to make the change. I’ve been to Denali National Park and I recommend to you without reservation that you should visit Alaska and the park at first opportunity. It is a magnificent state and park. You will see whales breaching, grizzly bears, the mountain itself, and much more. But on to the question at hand. Did President Obama and the Department of the Interior do the right thing? Opinion, not surprisingly, seems divided along partisan lines. Why this is so baffles me but I no longer question the reality that some people will oppose an idea simply because of the person suggesting it rather than the nature of the idea itself. This sort of blind antipathy or support is foreign to me, something to which my mind cannot submit. To me an idea has merit or lacks the same simply based on facts, not the person presenting it. 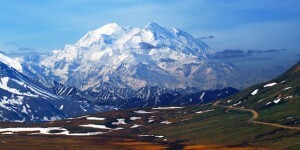 The mountain was called Denali by the people who lived there at the time. The people who currently live there have continued to use that name all along. 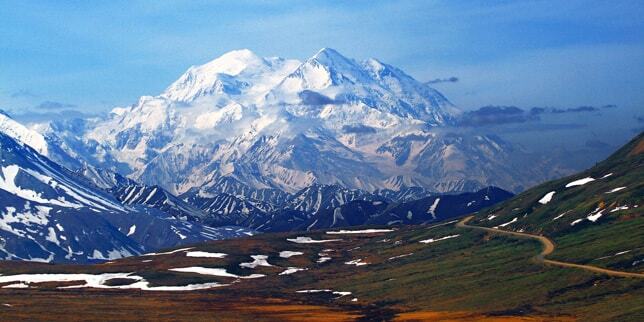 The name McKinley has no actual association with the mountain. President McKinley did not visit the mountain nor have any special attachment to it. It’s an easy call for me. The name changing was long overdue and the appropriate action to take. Was President Obama Right or Wrong to Change the Name to Denali? The Federal Trade Commission just shut down an organization called Vemma Nutrition Company because the government claims Vemma is operating a Pyramid Scheme. Vemma argues they are a legitimate Multi-Level Marketing company and have done nothing wrong. I’m not much interested in the legal niceties that separate a Pyramid Scheme from a MLM company. It’s all pretty much the same thing. They prey upon false hopes. People are told they will make a great deal of money and then forced to purchase products and recruit other people into the company to do the same. All MLM companies make the vast majority of their money not from selling products to the public but in selling to their unwitting dupes. Most studies show that around 99% of sales representatives for such companies make very little or no money at all. 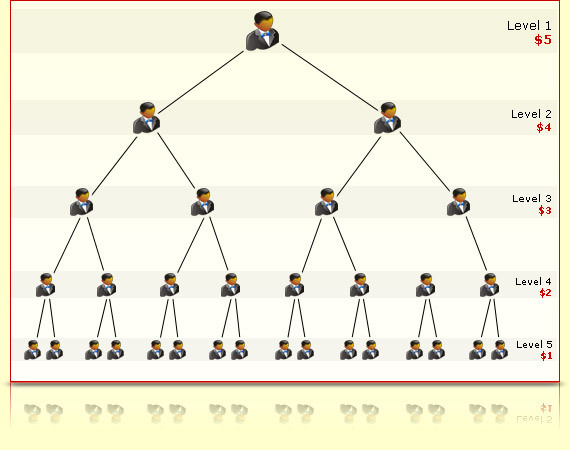 The information about MLM businesses is readily available for anyone caring to do even a cursory search of the internet. The FTC strongly warns people to stay away from such companies. The question I ask is if the government should be shutting down such businesses? The reason largely given for government intervention is that the owners are committing fraud by telling potential sales people they can make a lot of money and forcing them to purchase more and more product. To some degree I agree with this point, fraud is a crime. If someone lies in order to steal your money they are behaving in a criminal fashion. However, if the lie is obviously a lie and you are simply a hopeful fool, it is my opinion that law enforcement should not be trying to protect you from your own foolishness. I fully support the FTC in their warnings about MLM schemes. I think that is one of the things that government should be doing for us. They should investigate such employers and publicly warn people against working for such as them. That being said, I think there comes a time when the government shouldn’t be trying to save us from ourselves. 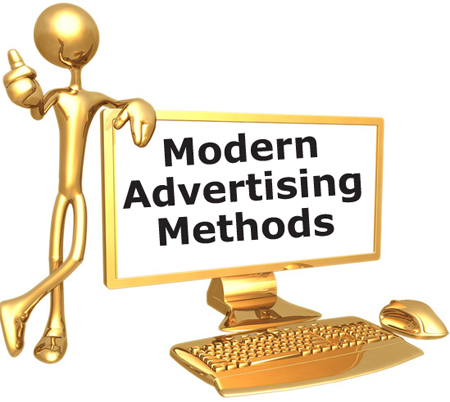 What happens is that MLM companies soon learn the legal boundaries of their deceit and operate within those limits. Thus companies like Mary Kay, AmWay, Herbalife, and dozens of others keep their policies just above the illegal threshold. So when the government shuts down Vemma for a short period of time we get the impression we are safe; that Mary Kay is not a Pyramid scheme but a legitimate company because they are allowed to continue to operate. Meanwhile Vemma tweaks a couple of policies, pays a fine, and returns to once again fleece gullible college students across the world. What has the government accomplished? Don’t get me wrong. I think MLM companies are despicable in their deceit and their willingness to take advantage of the desperate. I just don’t think the government can save us from them. That’s up to us. The information is there. Don’t work for an MLM and don’t help your friends out by purchasing their products. You’re just hurting them. That’s the only long-term solution. The United States just began ordering a new Joint Light Tactical Vehicle from OshKosh Corporation in Wisconsin to replace existing HumVees. They made the first purchase of 17,000 vehicles for $9 billion and are expected to eventually order 55,000 of them for a total cost of $30 billion. I have a big problem with this but bear with me before you get angry in the comments. I have no problem with getting well-armored transport for our troops. I think our troops should be well-protected from the Improved Explosive Devices (IEDs) that are a trademark of the sort of conflict we are currently facing. The price of $545,454.55 per vehicle, which certainly includes maintenance, seems rather high but that’s not my biggest problem with the purchase. So what’s my issue? 55,000 of these things? I absolutely don’t mind getting enough of these for our troops to use while they are traversing enemy terrain in combat areas. That being said, there is no possible way we need that many of them for such circumstances. The vast majority of these vehicles will be used to transport soldiers back and forth right here in the United States and in other countries where there is virtually no danger of attack. That’s my problem. I don’t see how anyone can argue that we need 55,000 of these things. 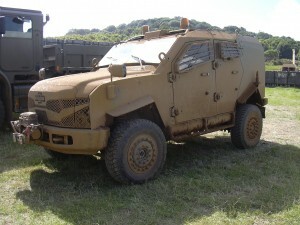 There’s no reason we can’t use a lesser vehicle to transport troops in non-combat situations. $30 billion is a lot of money. It represents 5% of the 2011 total military budget. Now the new JLTV will be used over many years so this comparison isn’t completely valid, that being said, it’s a lot of taxpayer money. If the people in charge of spending this money had any responsibility they would have ordered two vehicles. One for transport in safe areas and one for combat. There would be a much smaller number that were combat ready. Thirty years from now, the Humvee has been in service 31 years, we’ll be ready to replace these 55,000 vehicles with something new and I absolutely guarantee that a tiny percentages of those to be retired will have been used in combat dangerous situations. It’s a total disregard for taxpayer money. It’s largess to OshKosh. It’s nuts. It’s symptomatic of a government that just doesn’t care, that will do what is in their own interest, not what is in the interest of the nation. Military folks, tell me where I’m wrong. I’m willing to listen. 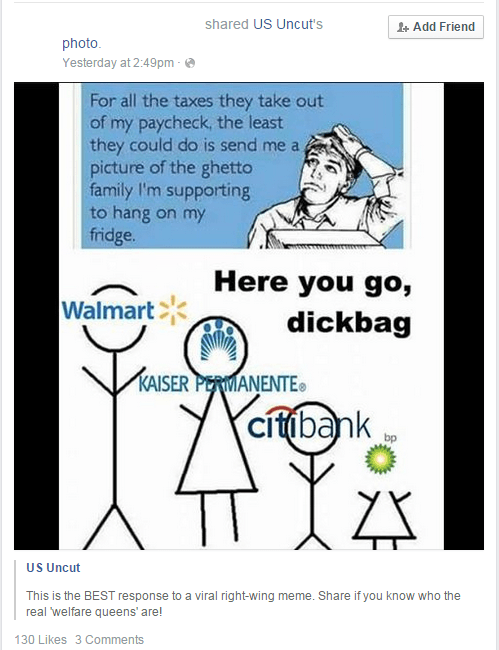 One of my friends shared a post from US Uncut’s Facebook page and because I’m not a friend of them I couldn’t comment. It made me angry so I’m going to write a blog instead of a comment. 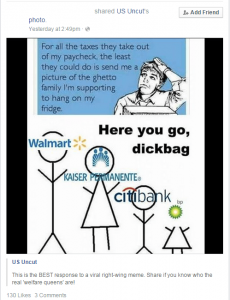 The image portrays a white man complaining about his taxes and wanting to see a picture of the “ghetto” family he is supporting. This image naturally enraged some people and they attached a little picture below it showing various corporations who supposedly don’t pay federal income taxes. The images included Walmart, Kaiser Permanente, Citibank, and BP (British Petroleum). Why am I angry about the image. Let me explain. Walmart is one of the companies that I would call a good tax citizen. They don’t have an army of lawyers and generally pay fairly close to the ridiculous 35% corporate tax rate. They were one of the companies that expressed a strong desire to lower the corporate tax rate to 11% percent and remove all loopholes. I’m a proponent of this strategy. Most of the Enterprise companies in the world are against this, although their publicity staff pretends otherwise. The reason being that they employ a large staff of corporate lawyers and generally pay nothing in corporate taxes, in fact they get refunds. The 35% rate largely only applies small and medium-sized businesses who can’t use tax shelters offshore and other methods used by Enterprise companies. Kaiser Permanente is a nonprofit organization. Yes, they don’t pay taxes, but they don’t distribute profits to shareholders and they funnel earnings back into the company. Its inclusion on the list is ridiculous. Citibank belongs on the list. They are one of the Enterprise companies that uses offshore companies and other methods to avoid paying any taxes. 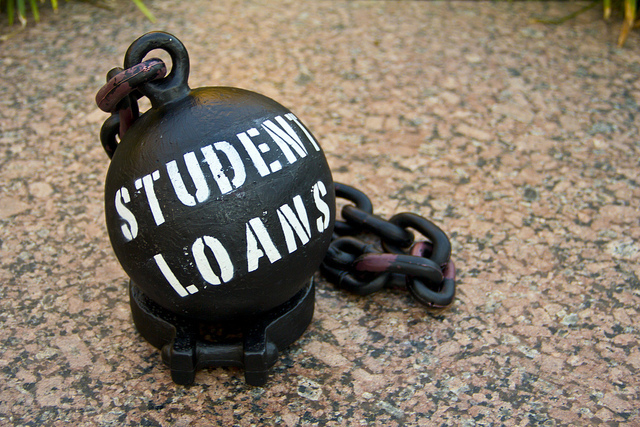 They also benefited from the government bailout program in 2008 although they repaid all loans with interest resulting in a profit for the U.S. government. Finally, BP. It doesn’t take a genius to figure this one out. It’s a foreign company. They don’t pay income taxes on operations in the United States but do pay local taxes. From what I can find they don’t have access to a lot of the loopholes domestic companies have and they pay the standard rates. So it’s hard to justify putting them on this list. There are plenty of companies out there that don’t pay much in taxes and could easily have been put on this list. This sort of laziness bothers me. I mean really, how hard is it to find four Enterprise U.S. companies that use loopholes to pay little or nothing in taxes? A quick internet search takes seconds. Do it yourself and see how easy it is. If you want to make a point by using an example, at least find a good example. Otherwise I’m going to doubt your entire argument, as should any critical thinker. 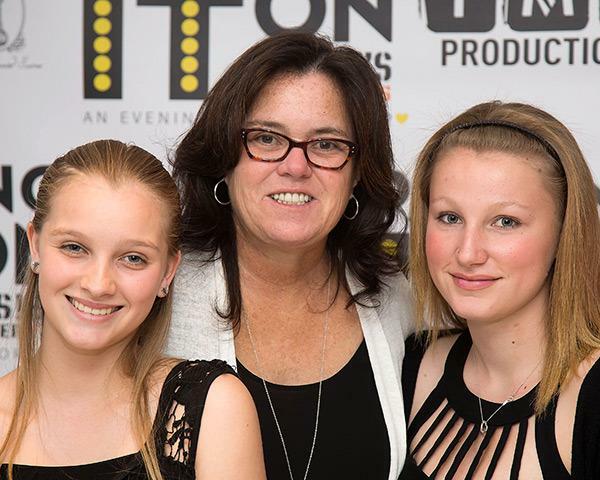 There’s an incredibly interesting story in the news involving the daughter of celebrity Rosie O’Donnell. The reason it is so interesting to me is that it illustrates the struggle between those who advocate the power of the state and those who argue for the rights of the individual. Most of my Libertarian and Anarchist friends and acquaintances are pretty strongly in the camp of the individual and while I am as well, I do recognize the state has a role to play in a civil society. Police have an important and useful function as does government. The particulars of this case are that Chelsea O’Donnell is a seventeen year old girl which puts her right on the verge of adulthood and emancipation. She voluntarily went to the home of a 25 year old man. She has been described in various media outlets as having an undisclosed mental illness. The man in question, Steven Sheerer, has now been arrested and charged with distribution of obscenity to a minor and endangering the welfare of a child. He apparently sent obscene material to Chelsea and lured her to his home. From a Libertarian perspective the fact that Chelsea is almost an adult and went of her own free will is a compelling argument. We Libertarians and Anarchists don’t think the state should be in the business of protecting us from ourselves. The reality of this case is that Chelsea, while close to having reached her majority, is still legally a juvenile. There is also the important factor of her mental illness. This story resonates with me, I have a niece who is developmentally disabled. It would be easy for an unscrupulous person to convince her to do something that is not in her own interest. It’s clear to me that people who are not capable of making decisions must be protected from those who would use them for their own nefarious ends. While the idea of a society in which everyone leads their own lives free of the state is very appealing, we Libertarians and Anarchists must remember that there are not only those among us incapable of making good decisions but also those who prey upon the weak. Even those who have reached their majority and are of sound mind can be tricked, duped, lied to, preyed up, and even physically coerced into doing things that are not in their interests. Where does the state intervene? When is our folly the business of the government? I don’t think the lines are crisp and there will always be difficult situations. I largely argue on the side of individual freedom, but not always. In this situation I think the state has a compelling case. I insist they prove it in a court of law but I do not condemn them. I praise the excellent police work of the Rockland County Sheriff’s Department who sent officers door to door. I applaud the officer who thought Sheerer evasive in his answers and eventually found Chelsea. Should the Police have Intervened in this case? The presidential campaign of Donald Trump is raising some ire across the country. 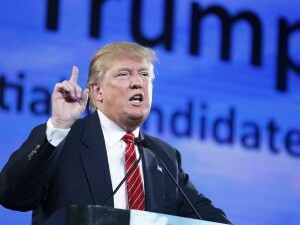 Trump is an anti-establishment candidate for whom reality apparently has little or no meaning. I’m not going to talk about his policy statements, his personal insults against anyone who dares disagree with him, his rather naive view of how complex is the world, or anything along those lines. Today I’m going to talk about how Trump is merely a precursor to what is coming. By and large there is a theme in contemporary media, be it mainstream or alternative. That theme is fear. The general message is that any political candidate, any voter, or any person who does not agree with the promulgator of the story is a danger. A threat to the nation. Someone who will destroy the United States. Any idea different than that being suggested will immediately or relatively quickly bring an end to your safety. Your way of life is in danger. The other side is an active enemy out to destroy you. That’s the promulgation of fear and that’s the message. What’s most interesting about this message is the motive of those that deliver it. By and large they fully understand they are saying things that are factually and demonstrably false. They know the threats they repeat endlessly are merely phantoms used to frighten people into voting for a particular candidate or legislation. For the most part the people that are doing this know when to rein in the threats before stirring up so much fear that people react with violence. What they don’t understand is that they are clearing the path for a demagogue. Did President George W. Bush understand that his policy against Iraq would create ISIS? Did President Eisenhower realize that by supporting the coup against Mohammad Mosaddeq in 1953 that he was essentially creating the entire terrorist world that exists today? Did President Reagan realize that by aiding Miguel Ángel Félix Gallardo he was largely creating the Mexican drug trade? They should have but they didn’t. We live with the results of their fear mongering. What Trump represents is the inevitable result of state or mass-media sponsored fear-mongering. Those that use fear to spread their ideas are eventually usurped by those working the same tools but without the moral character to understand the dreadful consequences of their actions. Those that created the environment of fear do not get to reap the rewards. They get put up against a wall by their misguided followers because, in the end, the original fear-mongers aren’t willing to go all the way. So they die horrible deaths. Reason is the first casualty to the sword of fear. Take note, Roger Ailes’s of the world. Take note. Trump is only a partially realized shadow of the kind of leader that is coming. You won’t be able to control that leader. Bat Girl was a Hottie Orion Slave Girl? Sad news today from the entertainment world in that an actress named Yvonne Craig passed away. If you knew of her it all it was probably because she portrayed Barbara Gordon on the original Batman television series. Batgirl. What took me by surprise was that she played Marta the green-skinned Orion slave girl serving a lifetime sentence in the episode Whom Gods Destroy of the Original Star Trek Series. An independent, intelligent, beautiful young woman superhero seems fairly passe in this modern age but in many ways Craig was real pioneer. I’m of the age that I well remember Barbara Gordon on the original Batman television series. She only appeared in the final season of the show which is a shame. Perhaps it’s just my foggy memory but I recall enjoying her role immensely. In my adult life I find independent and intelligent women to be those I’m most attracted to. Perhaps Craig is at least partially responsible for that. Who can say with any real certainty? Still, it’s a sad day. Little League Softball Team Plays to Lose? 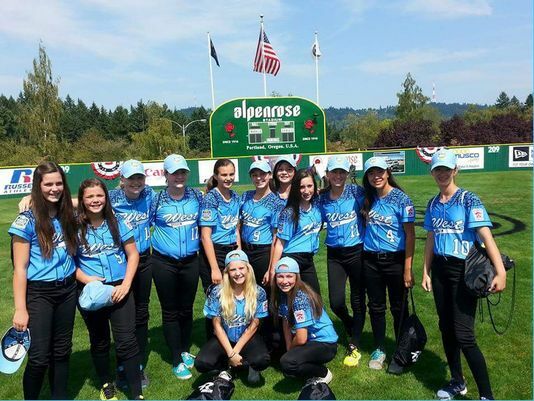 There’s an interesting story in the news about the South Snohomish girls softball team in the Little League Softball World Series. It seems they rested most of their best players and were defeated in a game that didn’t matter to them but did matter to another team. The South Snohomish girls were handily defeated which knocked another team out of the tournament. That team, Central Iowa, who earlier lost a close game to South Snohomish, protested the result. They claimed the result was invalid. The tournament officials agreed and decided that the two teams had to play a playoff game to see who advanced. Central Iowa won and advanced. I wrote a blog back in August of 2012 about an Olympic badminton team that apparently intentionally lost a match in order to further their long term possibility of advancement. I’ll reiterate my points. I understand the idea that everyone should do their best at all times but that’s just not the reality of the world when it comes to sports. In major league sports draft position becomes important and a team might well want to lose a game in order to get a better draft choice. In any round-robin sort of tournament, like the one in question, there are going to be situations one where team has guaranteed advancement and would prefer not to play too hard in the last, meaningless game. Punishing South Snohomish for not trying hard enough is seriously hypocritical. What the administrators of the league are saying is that you have to pretend to try harder. They know the format makes for situations like the one that occurred. It’s hardly the first time a team has done what South Snohomish supposedly did. Who is to make the judgement about the definition of trying hard enough? In this case the coach of South Snohomish rested players and used bench warmers in order to have a better chance later in the tournament. Is that against the rules now? Should the tournament officials make out the starting lineup? If an error occurs in a similar situation should they have a do-over if an official rules it was intentional? The solution I offered in my original blog was that when it is clearly advantageous for a team to lose they should declare that they want to lose before the start of the game. Then play the game hard. If they happen to win, it counts as a loss anyway. I know many people won’t like that idea but the alternative is that a team pretends to try hard while really trying to lose. Is that what we want? This illusion? This fantasy of effort? I absolutely think the Central Iowa should be sent home and the South Snohomish team allowed to advance. Did the Tournament Organizers do the right thing? A young man opened the door to a moving car and yelled “Pigs” at nearby officers. 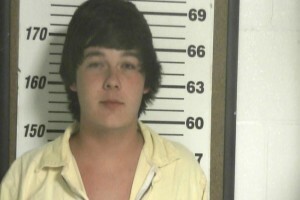 They chased him down and arrested him for Disorderly Conduct. To Protect and to Serve on full display. Read my take on events here. One of my favorite sporting events of the season is the PGA Championship; thanks in no small part to the enlightened view those in charge take as far as online viewers are concerned. This attitude along with the incredible final round between the two leaders brought to mind why competition is the method by which the best results in life are found. There are two lessons to be learned here. Both from the streaming coverage provided during the PGA championship and the spirited final round of the event itself between Jason Day and Jordan Spieth. First as to the viewing pleasure I enjoyed. In the last few years there’s been a slow but steady shift of people away from traditional television viewing habits to online viewing. I’m one of those that no longer has a traditional television. I consume media via my computer using tools like Hulu, NetFlix, ESPN3, and other content providers. It saves me money and allows me access to only the events I want to watch. The problem is that many content providers don’t see those of us who have eschewed television as a market. Major League Baseball, for example, has a blackout policy that means if I purchase their baseball package I can watch every game of every team except my home market team, the St. Louis Cardinals. Yeah, so, not buying that. The PGA tour has a livestream channel but whether or not the event broadcasts is rather haphazard from week to week. Some events show nothing at all while others show only on Thursday and Friday, others show all week. The PGA 2015 Championship has a plethora of streaming coverage and have had so for the last few years. They embrace online viewers like myself and I’m grateful to them. They have a featured group channel which is outstanding. You get to watch one group for an entire round. They have a par 3 channel. They have a general broadcast channel. The point here is that when you broadcast a sporting event you want the largest possible audience. Yes there are advertisements but I gladly put up with them. It is my opinion that by embracing, rather than fearing and excluding, the growing online audience the PGA promotes their product. They bring in new fans. They do themselves, the game of golf, and the fans of golf a great service. That’s smart business. The rise of online media consumption, as opposed to traditional television viewing, has increased the number of ways I can watch a golf event. It has given me more options and more entertainment. 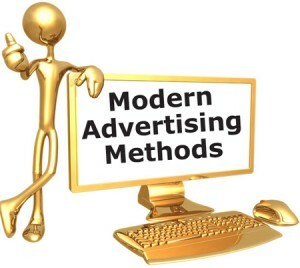 It also generates new revenue for the content creators and providers. All good things. As to the second reason competition is great. 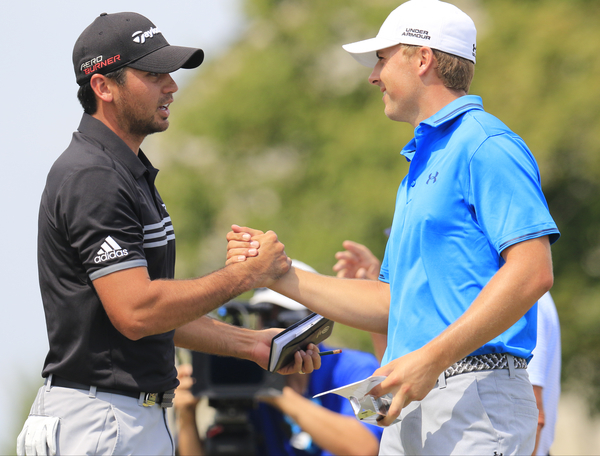 The 2015 PGA Championship pitted Jason Day and Jordan Spieth in the final round. Often times these sorts of pairing don’t result in a great competition because one player does well while the other does poorly. That was not the case this time. Day and Spieth both played well and the drama was intense and exciting. Day eventually emerged triumphant by a seemingly large margin but the reality is that until the last hole there was tremendous doubt. That made for a gripping story and an entertaining event. Good for the players who must rise to occasion and reach heights they would not have otherwise achieved. Good for the audience who watches such drama. Good for the content providers who get advertising dollars. Good for advertisers who get good publicity for their spends. And, as Spieth’s sportsmanship in defeat so ably displayed, there were no real losers. Yes, Day won but Spieth gained as well. As did we all. There’s an interesting story about government regulations making the rounds involving Kim Kardashian and a drug called Diclegis. 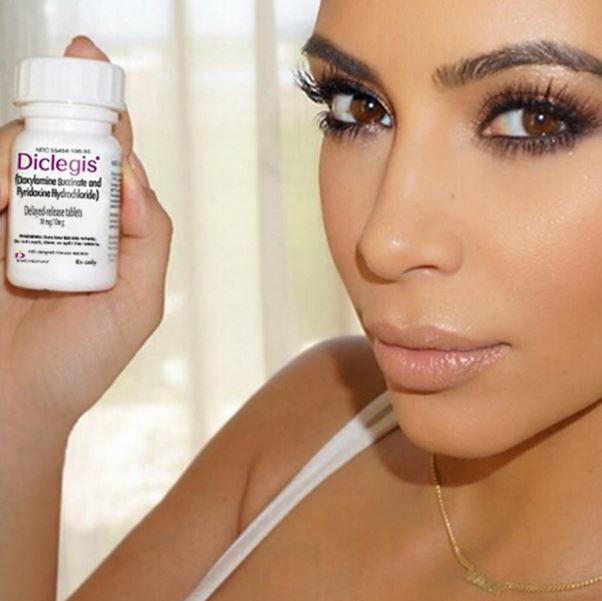 At question is the fact that Kardashian is essentially a paid sponsor for Diclegis through her Tweets, Instagram photos, and Facebook posts. This sort of sponsorship deal is not new. Companies pay celebrities to mention their product in apparently normal social media interactions. What’s different in this case is that the Food and Drug Administration (FDA) has laws about advertising products without mention side-effects and other drugs which are dangerous to take with the original drug. In this case Diclegis can often cause drowsiness and it should not be taken with alcohol or other sleep inducing medication. If people take Diclegis and then go out driving, they risk the lives of many other people. Kardashian does not mention these side-effects or incompatible drugs in her various social media advertisements. The FDA now wants to fine her for these violations. The FDA was created back in 1938 as knowledge of what was going into food and drugs became more well-known. There were any number of cases where people ingested lethal substances when they thought they were taking medicine or normal food. A particularly loathsome case involved the deaths of thirteen children here in my hometown of St. Louis traced to a tainted diphtheria anti-toxin. The question for me is complex. Does the government have constitutional authority to protect people from the food and drugs that manufacturers produce, advertise, and distribute? Clearly, yes. Congress has given them such authority and the constitution does not forbid it. Does the government act in the people’s interests with such authority? Now it becomes tricky. Certainly the idea of the FDA is good. We want to protect people from toxicity in our food and drug supply. We want to protect people from unscrupulous manufacturers selling their snake-oil. We want to prevent people from taking Diclegis and then driving in their cars. But do FDA regulations accomplish these things? I think the answer is largely, but not completely, no. We’ve all seen drug commercials that go through an endless litany of possible dreadful side-effects and warnings. Do these warnings prevent people from mixing drugs or driving cars while taking the drug? We must be responsible for ourselves. We must investigate the drugs we are taking. We must listen to our trained physicians who are prescribing them. If we are not doing so, then that’s our fault. The FDA shouldn’t be able to tell Kardashian to tell all the side-effects of every drug she mentions as part of a paid advertisement. That being said, I’m not totally opposed to the FDA. I do think they have a useful function in our country. I think the FDA can and should test drugs and food. They should post all the pertinent information on readily available websites for We the People to look at. Then, with the aide of our physicians, we can make informed decisions. If a drug kills people the government can and should arrest those responsible for its distribution. If a physician lies about side-effects to a patient to sell more of a drug then that physician should be prosecuted. There will always be snake-oil salesmen (see Dr. Oz) who find ways around government regulations. We must always be responsible for ourselves. No amount of regulation will save us if we are not. I’ve been watching the rise of Donald Trump as a viable political candidate with some interest of late and I just saw a sound blip that I thought was very telling. At question was the fact that Trump led business endeavors have gone bankrupt four times. 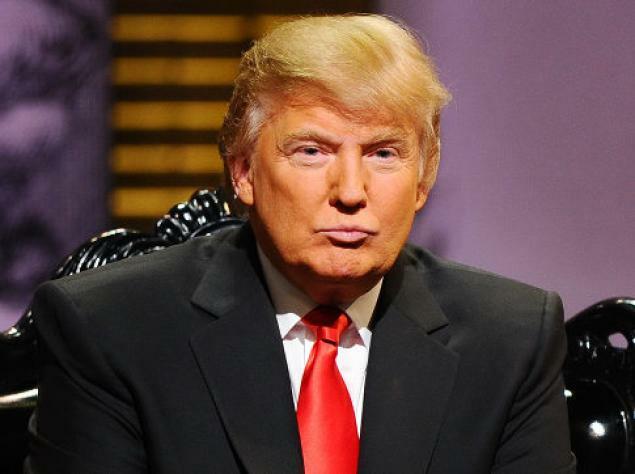 Trump correctly denied that he had ever gone bankrupt. He pointed out that virtually everyone you see in the business section has used Chapter 11 laws to their advantage and that only Trump is being singled out. He’s right. I don’t say this to defend Trump. I say this to point out that the way to succeed in business in the United States is to start a company, pay yourself and your chosen friends a huge salary, take out as many loans as possible for as long as possible, and then declare bankruptcy leaving the banks to make up the lost capital by overcharging average citizens. This is our business model now. If you are a small or medium sized business owner trying to provide a quality product at a reasonable price, trying to employ good people to enrich their lives, and trying to earn a good living; you’re headed for disaster. If you think pro-business Republican candidates are on your side, you’re living a lie. I’m not saying Democrats are any better but if you keep voting for Republicans you are voting against your interests. There was a time when good business owners did stress making a great product or providing a good service. When employees were part of the team for life. When profit was nice but not the most important factor. Those days are gone. Want to succeed in business? Give yourself and your friends a huge pay raise. Take out as many loans as possible. Drive your company into the ground. Declare bankruptcy. What has come of the United States of America when we have to spend millions of dollars advocating our foreign policy? I don’t care if you are for or against the Iran Nuclear Joint Plan of Action. You can hate it. You can love it. You can think it will lead to a nuclear Iran or prevent a nuclear Iran. You can’t possibly think it is a good thing for the United States of America that special interest groups are spending tens of millions, likely eventually hundreds of millions of dollars, trying to influence public opinion to their cause. They are doing this in the hopes that people will call and write their representatives in Congress and thus swing votes in one direction or the other. I have no doubt they will succeed in swaying people’s opinions. I have no doubt these people will contact their representatives and thus the vote of the men and women who decide foreign policy. What do we call such an outcome? Democracy in action. To paraphrase Mr. Mackey, Democracy is bad, mkay. I explained exactly why this is case in a blog post back in February of 2012. Does anyone seriously think it’s a good idea to have foreign policy decided by a popular vote? Have you seen who wins the popular vote for the best restaurant in town? This is the future of our country. Fear based advertising dictating important policy decisions. Vote your conscious? Vote what you think is best for the country despite the political ramifications? Not a chance. It doesn’t matter which side wins this debate, this is the new paradigm for all major political decisions in the United States. This is what you country has become. You’re welcome to it. Me, I thought out of control spending on election was horrible. This … I can’t even find the words. 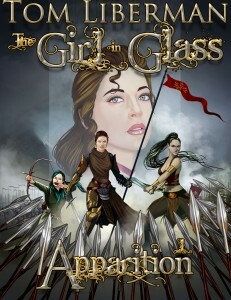 Next Release: The Girl in Glass I: Apparition – Very Soon!